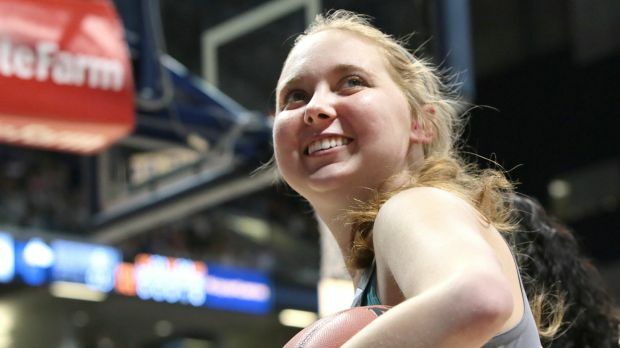 Lauren Hill passed away today after an almost-two-year battle with brain cancer. It was not unexpected, but still a moment that brought pause and sadness to much of the sports world. Since Lauren went public last fall with her desire to play college ball despite her encroaching disabilities, I’ve admired her courage and her competitive spirit from afar. Lauren had committed to playing for Mount St. Joseph while still in high school. When she told her coach a few months later about her diagnosis, she assured him she would continue to play for as long as she could. He assured her that there would continue to be a place for her on the team. Her disease, a rare form of brain cancer called diffuse intrinsic pontine glioma, slowly robbed her of her ability to move about the court with the grace and speed she was accustomed to. She had to wear sunglasses everywhere because bright lights bothered her. She wore headphones to block out the sounds that painfully vibrated off her ear drums. Yet she came to Mount St. Joseph last fall committed to playing as much as she could. I beamed right along with the rest of the sports world when her Mount St. Joseph College was successful in moving up her team’s first game to Nov. 2 so that she could fulfill her dream of playing at the college level. I was moved by her infectious, earnest, bright-eyed spirit, as well as the rest of the sports world’s reaction to her. 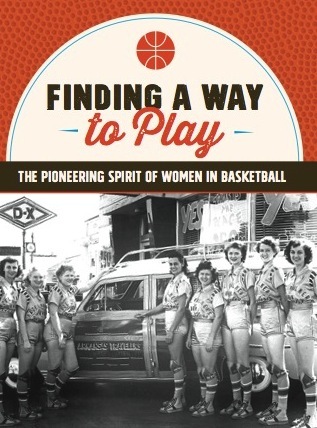 She captured the hearts of fellow athletes — of anyone — who has had to struggle and has persevered in their efforts to play a game they love. Lauren’s inaugural college game had to be moved to a bigger stage because so many people wanted to see her play. In the stands were WNBA stars and another indomitable spirit — Pat Summitt — who presented Lauren with the U.S. Basketball Writer’s Association award for courage that is given in Summitt’s name each year, usually at the end of the season. In all, Lauren played in five basketball games last winter and scored two baskets in each of them. “She brought an honor to the pursuit of athletics that far eclipses any championship ever won,” wrote Mechelle Voepel in an ESPN.com tribute to Hill. Lauren will also be remembered — even more so by many people — for her efforts on behalf of cancer research. She became the face of an ongoing foundation raising money for pediatric cancer research. And even as she continued to weaken and face more and more physical challenges, she continued to encourage and inspire other cancer patients. In his poem, “To an Athlete Dying Young,” A.E. Houseman noted how “the cheering throngs that had chaired” the athlete through the town in his hour of glory were “townsman of a stiller town,” the day he died. I’m filled with that same sense of sadness at Lauren’s passing. And yet I know her spirit will live on — not in the cliched sense with which we all comfort ourselves in times of grief, but in a very real and tangible way. For Lauren epitomizes the spirit of every person who has made the most of what life gives them. Lauren’s story inspired millions of people, as she courageously found a way to play. ← Will Cinderella’s coach turn into a pumpkin Monday night?